LIMA ~ It wasn’t a glue factory, but it was an untimely end for a star racehorse worth US$270,000: thieves in Peru stole him, killed him and sold the filets at market, passing it off as beef, police said. 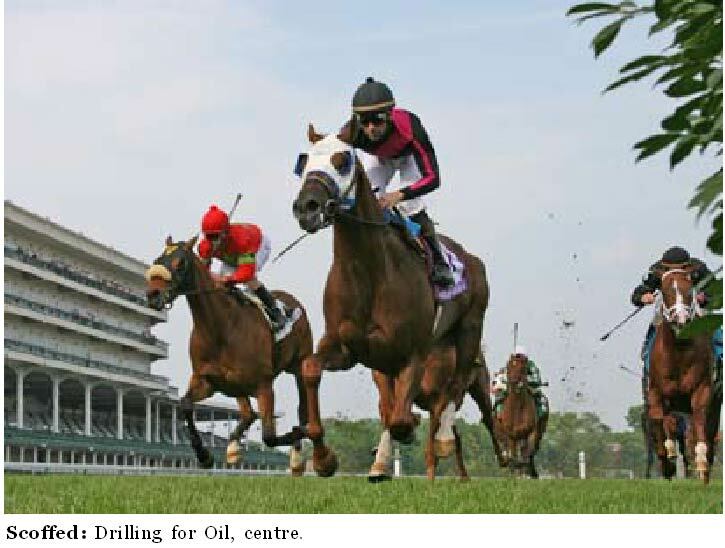 Six-year-old thoroughbred Drilling for Oil had won races in the United States and was headed for an easy life, out to stud in Peru. That was before rustlers snagged and butchered him, plucking him out of the pasture where he was grazing. The horse’s remains – really just the head, feet, tail and bones – were found in Canete, 140 kilometres south of Lima, police said. The thieves who stole the horse from Israeli owner Hiad Hamide on Tuesday were still running from the law, police said.